Named the most beautiful city in the world since 2016, it’s easy to see how the floating city has claimed the title. 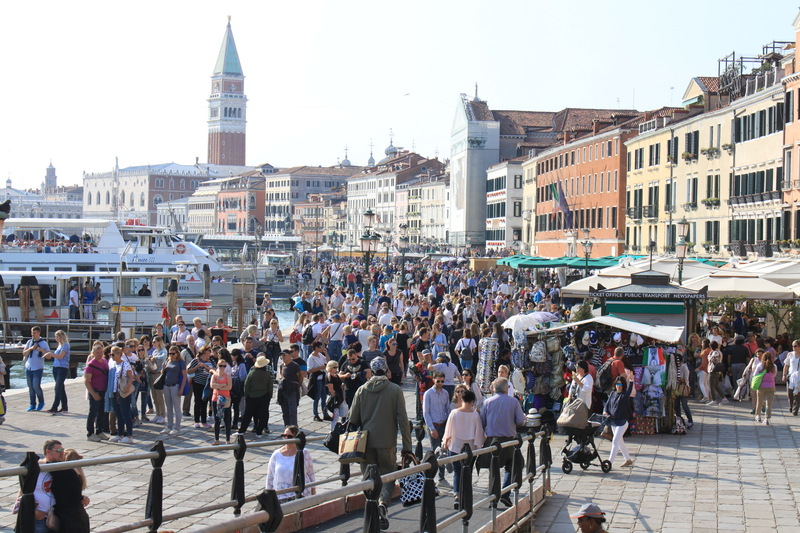 Made up of around 120 islands, the history of how this collection of sandy islands in a shallow lagoon became the city of Venice is fascinating. 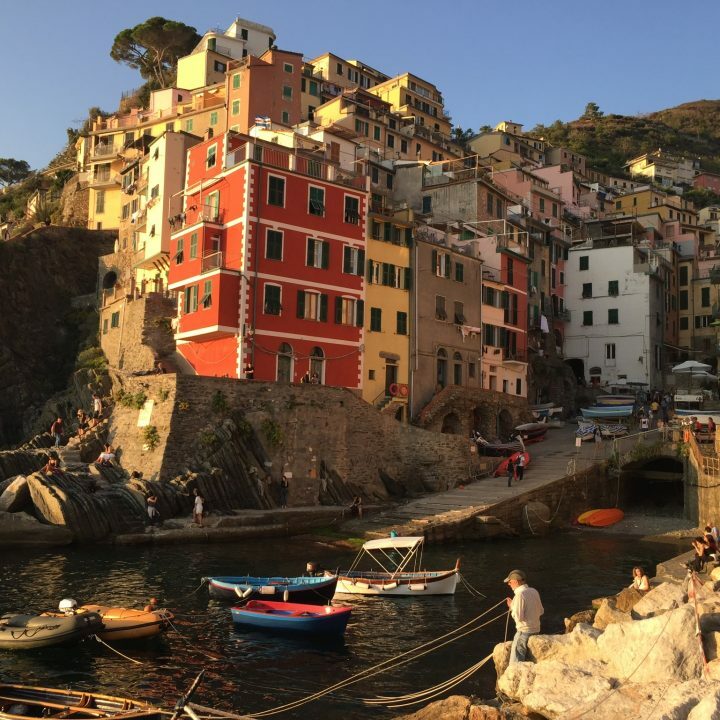 The initial foundations for the city were started around 500 A.D. after people settled on mainland Italy sort shelter in the lagoon locked islands, joining their marsh dwelling neighbours in search of refuge from an onslaught of violent besieges. As it turned out, the first Venetian’s to call this collection of sandy dunes home never intended to stay. But after making a temporary settlement they discovered the benefits of being isolated by water when enemies came to attack and decided to make Venice a more permanent settlement. But how do you turn sandy islands into somewhere that can be built upon, this is where Venice’s geographical location came up trumps. With being located in the Adriatic Sea, they were perfectly positioned to become the main city for Western Europe to trade with Eastern Europe. Venice became the first city to forge trading routes with countries such as Croatia, Slovenia and Slovakia to fulfil their own demand for lumber, to make 4m timber struts that could be used for the foundations of the floating city. 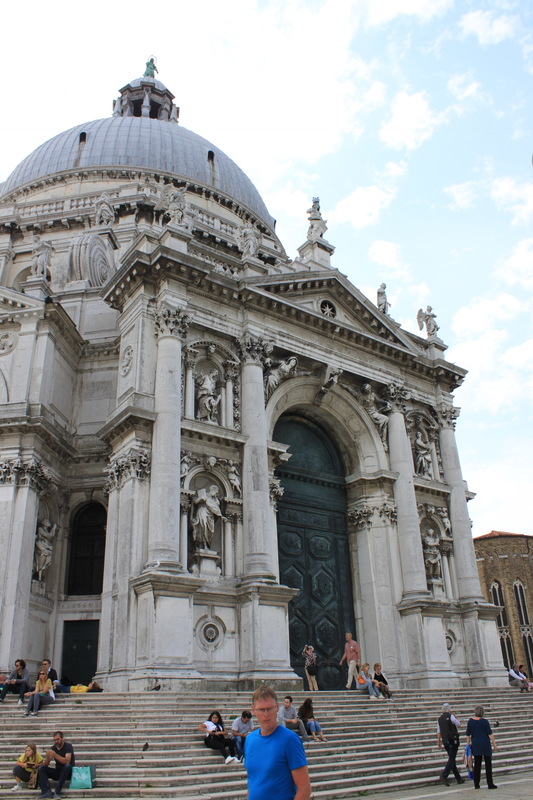 To put into context the sheer quantity of timber Venice would require, the building of the Santa Maria Della Salute located on Dorsoduro island, needed over 1,100,000 timber struts alone. These would all need to be driven into the seabed to create suitable foundations to be built upon. Being fascinated by how things are built, my initial thought was – how do timber strut foundations that are now over 1600 years provide a suitable foundation for such a long period of time. As it turns out if the timber is continually submerged in seawater the wood is never exposed to oxygen which is key to the growth and survival of fungus and bacteria that would have rotted the foundations away. 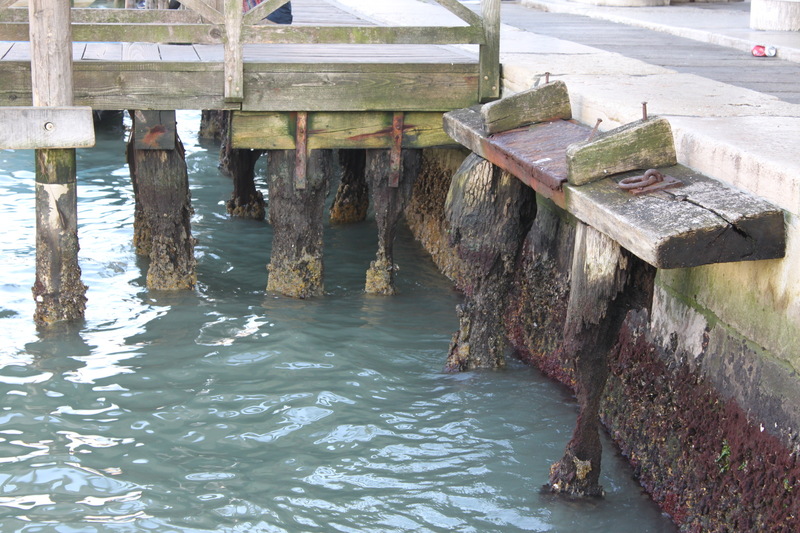 Also as the sea water is constantly moving around the struts the wood becomes petrified turning it into a concrete-like state. These struts were then topped with a layer of limestone quarried from the same neighbouring countries thus creating a solid foundation that could withstand many centuries of weathering. 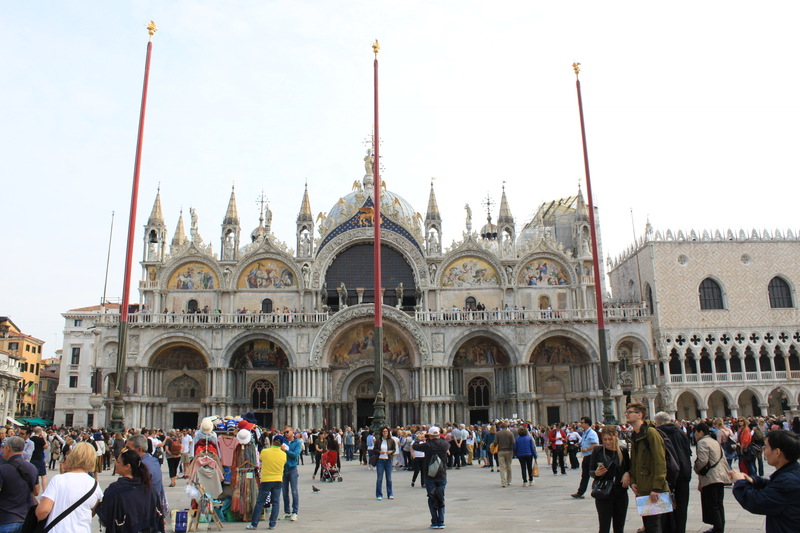 Did the initial architects of Venice ever considered that their handy work would still be in use today over 1500 years later? 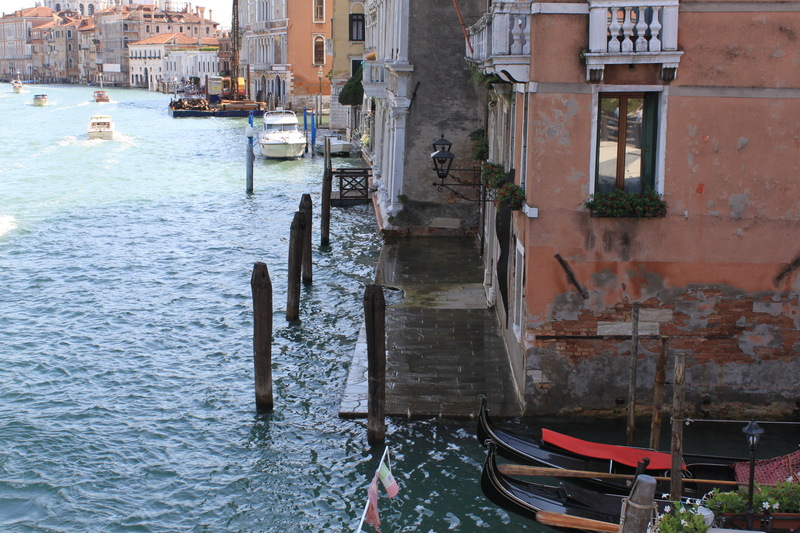 Fast forward to the 15th and 16th century, and Venice had become the trading centre for the world. Having successfully created trading routes to cater to their own resource needs to build Venice, they’d now realised their prime geographical location on the Adriatic sea to transport goods from the Dalmatian countries further afield into Western Europe. 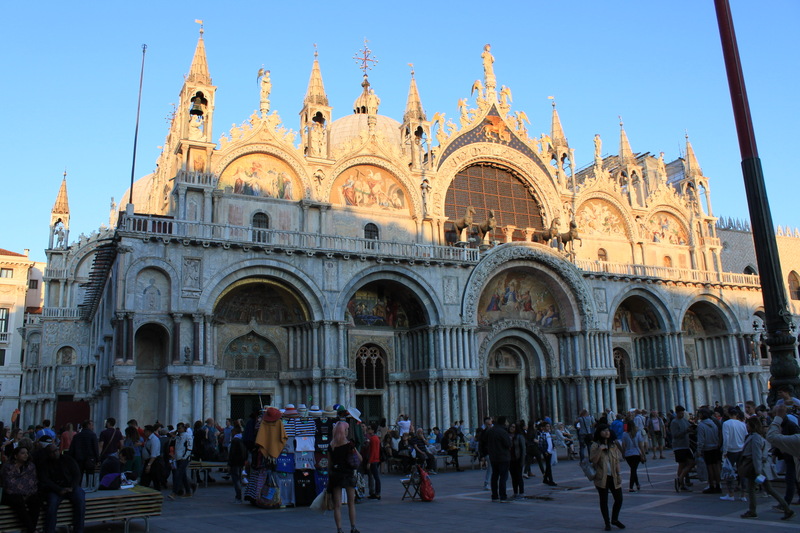 Venice also became a powerful naval force to be reckoned with and back in 1204 during the Sack of Constantinople, the Venice Crusaders returned victorious with the bronze horses now sat atop San Marco Basilica. 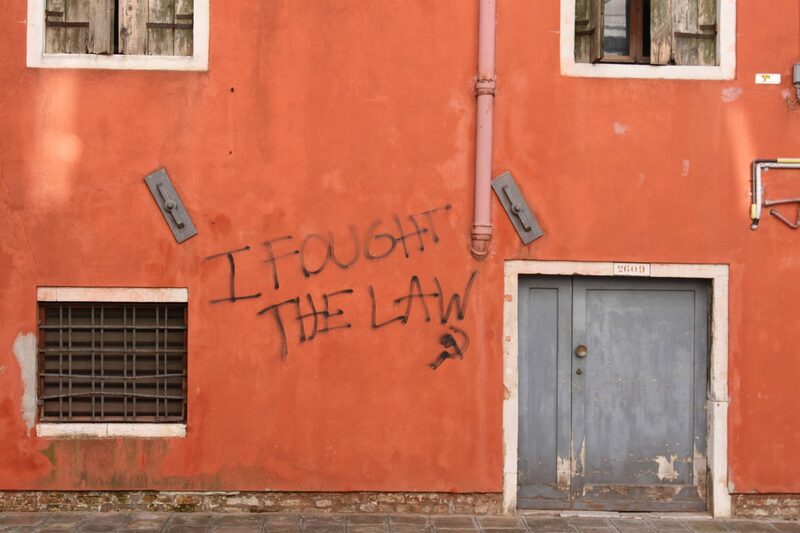 Seemingly Venices current bankruptcy and organised crime volatility isn’t a newly learnt behaviour but something that it has never shaken off. 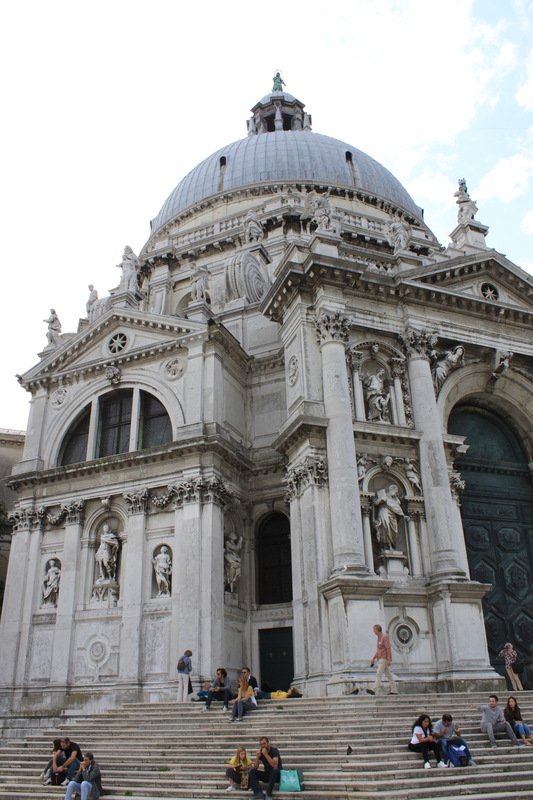 Most of San Marco Basilica’s most precious and revered ornaments were actually relics stolen from distant lands after returning triumphant from defeating enemies of Italy. A Venetian’s desire for fashion hasn’t been lost over the years, the majority of shops located off Piazza San Marco are flagship stores of fashion designers such as Gucci, Dolce and Gabana, Prada and Chanel to name but a few. Located on the squares of the San Polo island, the shops display some of the traditional clothing more suited to the 16th century. 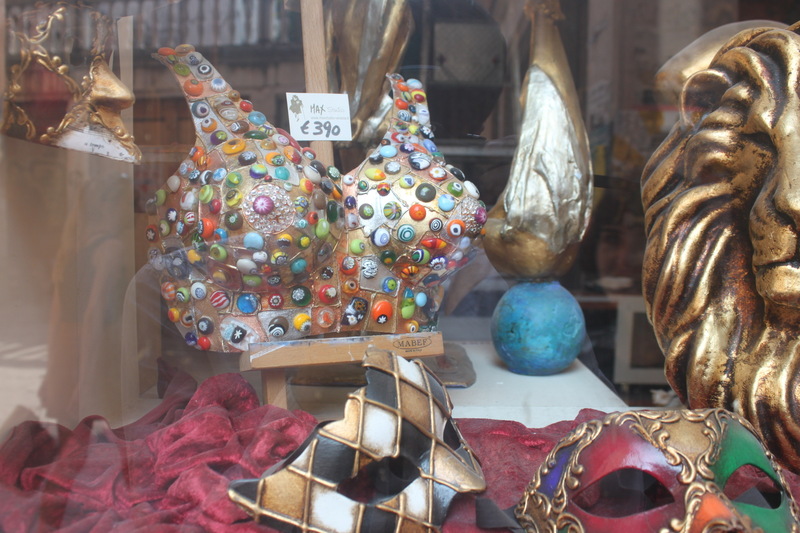 It is difficult to miss the vast quantity of shops selling masks attempting to capitalise on a Venetian’s penchant for a masquerade ball. Masquerade parties originally became famous across Europe in Italy, Switzerland and Austria and the Venetian’s took a particular interest in a masked ball. 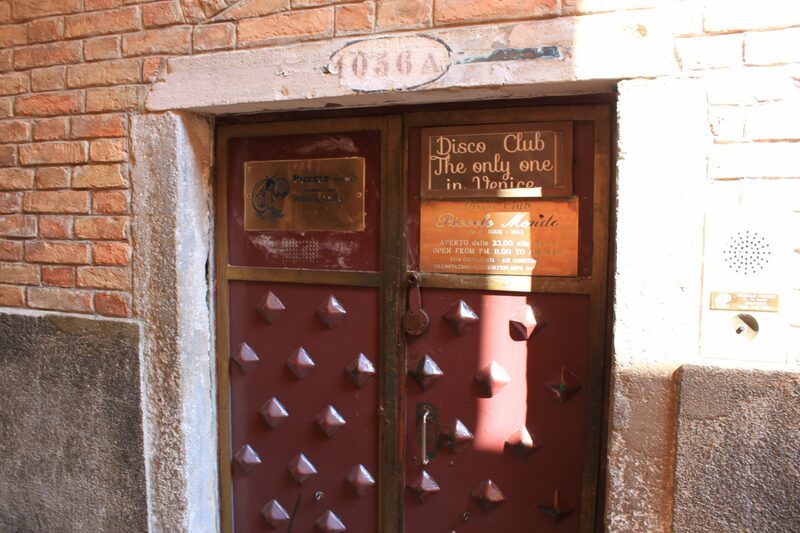 It became the preferred party theme for the upper classes in Venice, peaking in popularity around the 17th Century with the main entertainment coming from trying to guess the identity of the person you’re conversing with. It was during these mid-millennia centuries that Venice was leading the way with the international trade but it wouldn’t last. Around the 17th-century trade routes would be revolutionised by the discovery of being able to sail around the cape of South Africa, opening up trade between India and Asia with Portugal being perfectly positioned to make full advantage of the newly discovered trade routes. 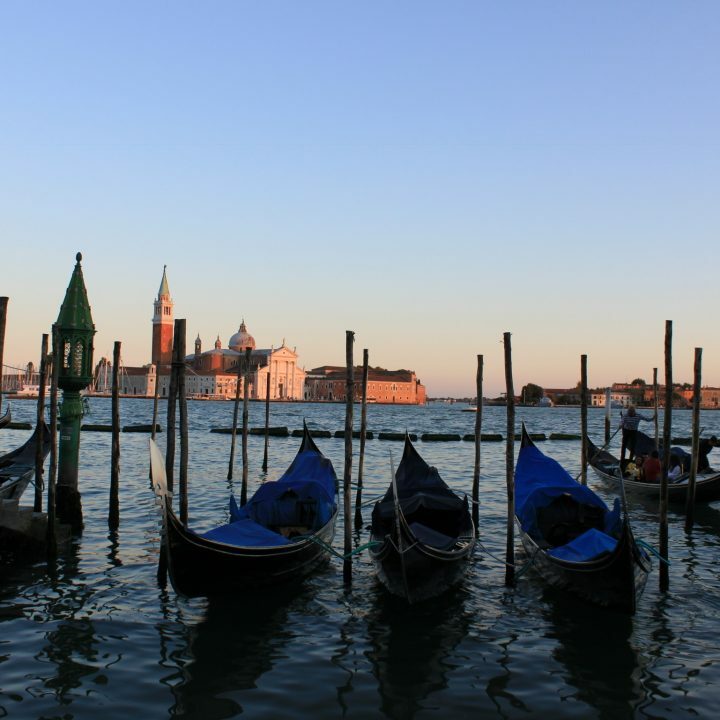 Venice began to lose its financial dominance due to these quicker trade routes and it was to become a destination that would be fought over with numerous changes in governance. At one point Napoleon even conquered the floating city choosing to commandeer the once Constantinopolitan bronze horses and transporting them back to Paris. Their return was ordered and Venice would again fall under the governance of Italy after Napoleon signed the treaty to create the Kingdom of Italy in 1812. 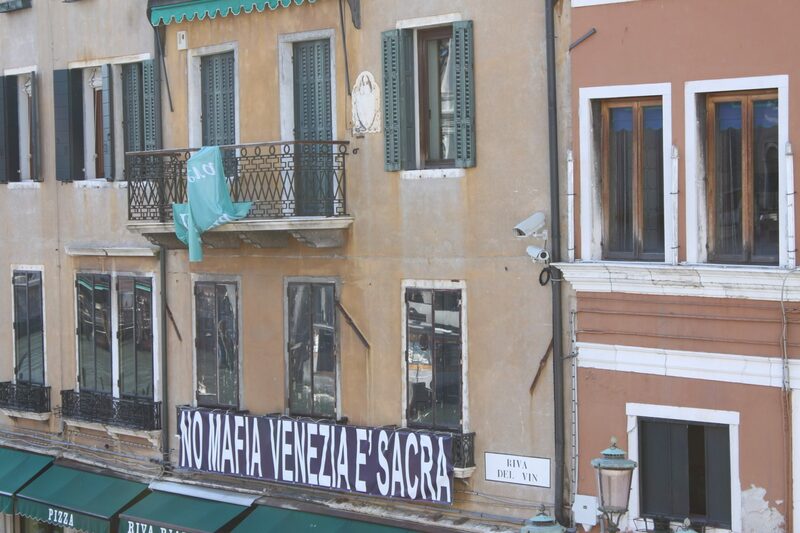 When you get to the late 1960’s, Venice is still a position of interest for economic reasons, this time not for legitimate trade but for organised crime. 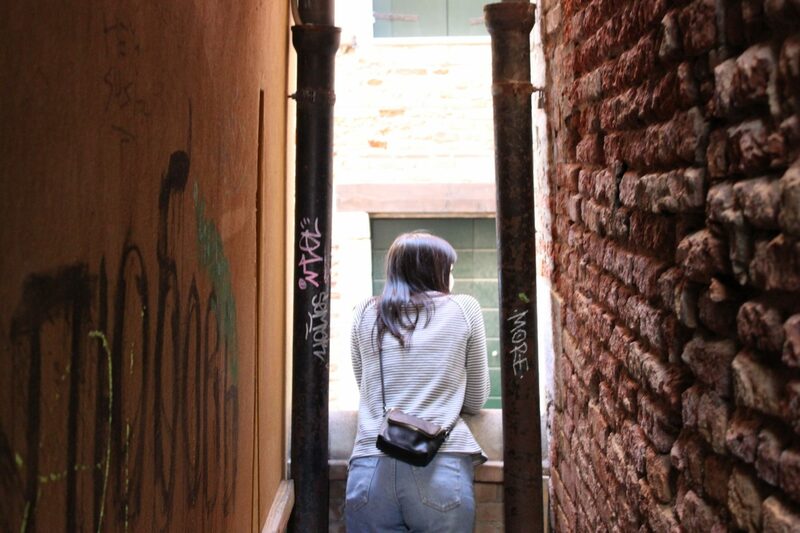 Originally Venice was run by 5 gangs, each having a preference in their main business activities but, it was around this time that a young Felice Maniero from a poor background in the area of Venice began his expedition into organised crime. 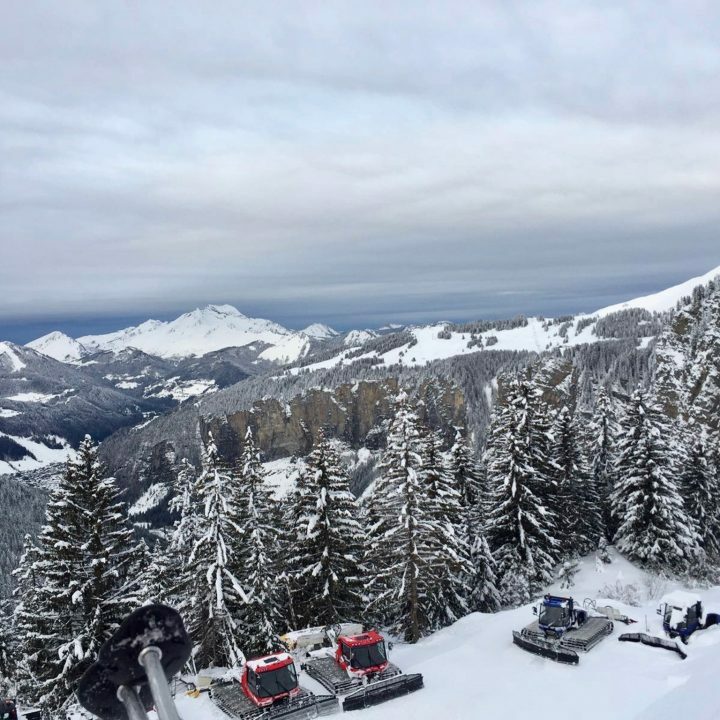 Felice Maniero iss a charismatic fellow known for his unconventional criminal activities notably a time when he convinced one of the exclusive hotel managers to hand over more than £2 million worth of jewellery and other possessions of the hotel’s patrons at the time. Another time he supposedly walked out of Venice airport with over 170kg of gold, forgetting these ridiculously brazen criminal activities he was still guilty of multiple murders and wasn’t someone to be crossed. He was still quite a visionary though and set his goals on uniting the Venetian gangs to become the overarching don of what would become the Venetian Mafia. Felice Maniero’s rise to supremacy wasn’t achieved on his own though. He shared his vision with outlawed members of the Sicilian Mafia who would help him climb into this position. 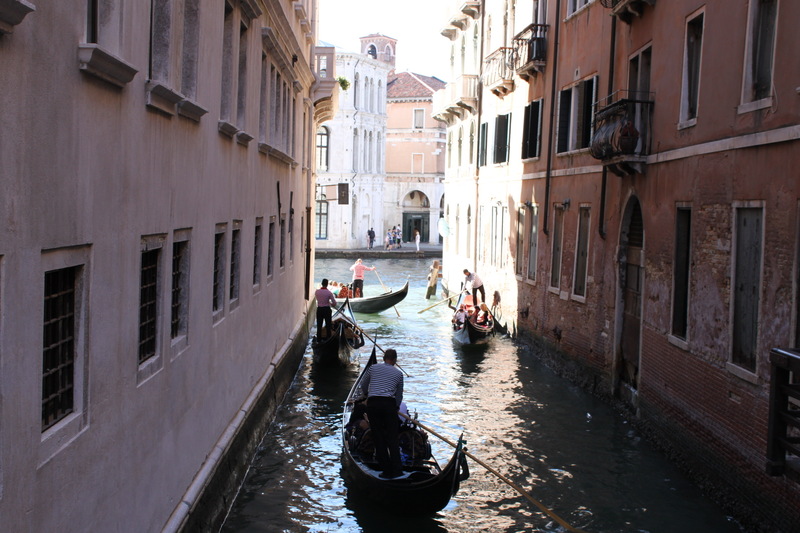 Venice is a highly valuable territory for organised crime and of particular interest to the Sicilian Mafia. 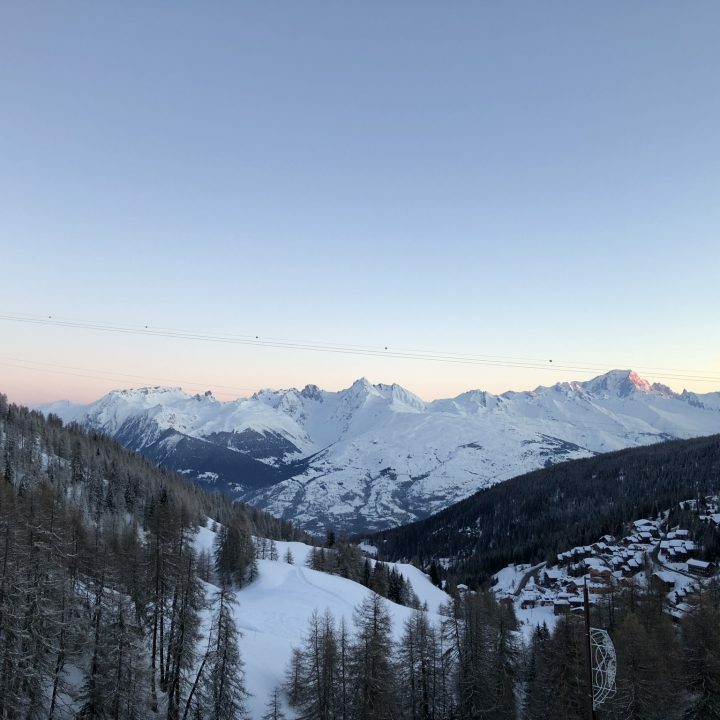 The number of tourists that frequent the area spending cash on Gondola’s, glassware, masquerade masks and the likes provide a highly lucrative money laundering system. International drug trafficking money is brought into Venice to be cleaned from being dirty to clean money. 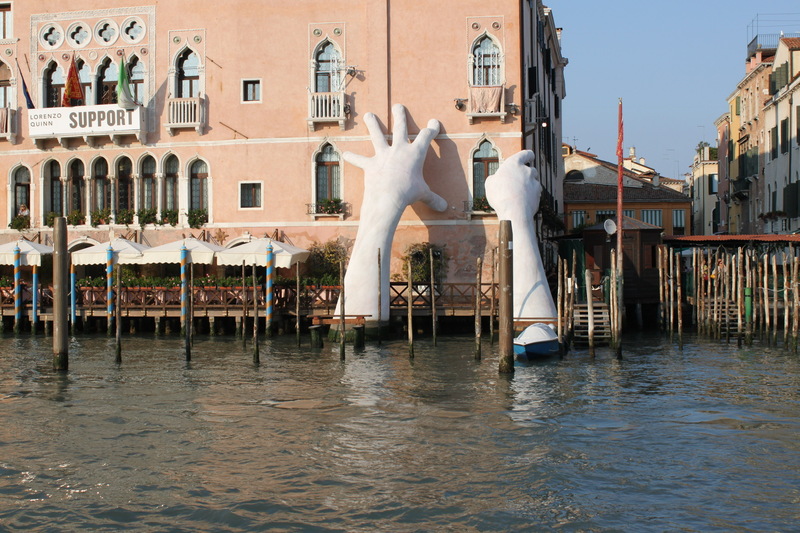 In 1990 Millo a close friend of Felice Maniero was shot dead whilst outside a restaurant in Venice and turmoil broke out amongst the gangs of Venice breaking the volatile unity Maniero had strived to create. Many years of gang warfare commenced and it was during these times of disarray that one of the more notable exposures to the level of organised crime in the area is highlighted. In 1996 the then deputy mayor was forced to drive at gunpoint to a wasteland by a young thug hiding on his back seat, upon arriving at the wasteland the capturer ordered Deputy Mayor Bettin to throw the car keys out the window and was then told ‘you should mind your own business’.Why? 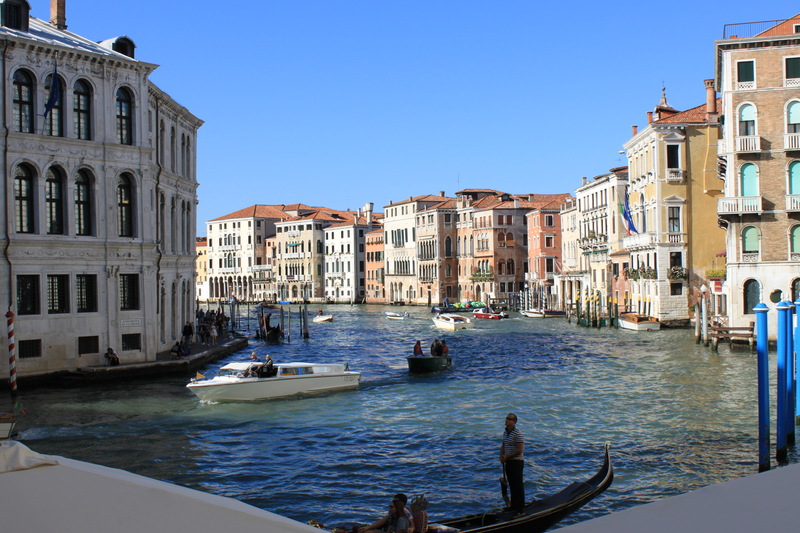 Because in the 1990’s arms dealing was at an all-time high for Venice with the Dalmatian coastal countries, yet again Venice’s Adriatic location was providing a lucrative trade route. With a pull of the trigger, the assistant Mayor was sure to be dead. Alas the gun wasn’t loaded, the thug got out the car and walked away. Nothing quite so scandalous has happened in the area since the incident in 1996 but it highlights the grip that organised crime has over this historical and beautiful city. 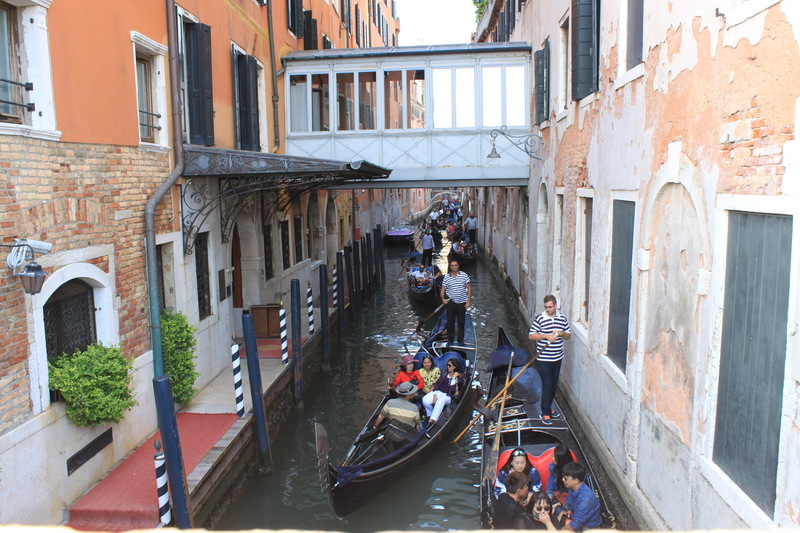 Whilst visiting some people say that the Gondola rides you unsuspectingly take are a clever disguise for a sophisticated money-laundering scheme. Along with the casino cashiers and the vast number of shops offering the exact same products over and over again in a failsafe pattern that supposedly hides the seedy undertones of the Sinking City.